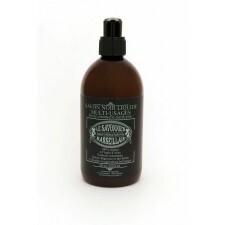 The Savon Noir liquid soap with eucalyptus is ideal for cleaning and purifying naturally all washable surfaces in the house. 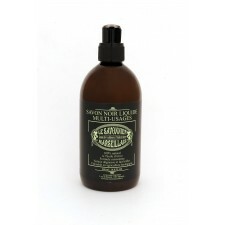 Olive oil Savon Noir liquid soap scented with eucalyptus essential oil - naturally high in vegetable glycerin - concentrated formula. 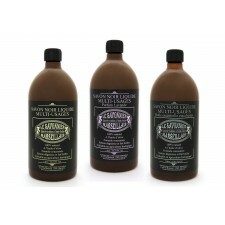 The 1 liter liquid eucalyptus Savon Noir liquid soap cleans, de-greases and polishes. 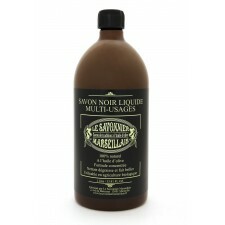 The Savon Noir liquid soap with eucalyptus cleans, de-greases and polishes all interior and exterior washable surfaces. 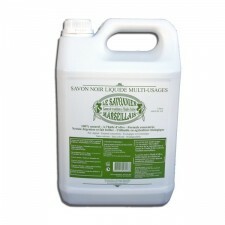 For the garden, the Savon Noir liquid soap can be sprayed on plants including fruit and vegetables against aphids and other garden pests. 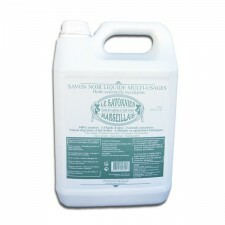 The Savon Noir 100% Natural All-Purpose liquid soap is effective on many households washable surfaces. Biodegradable, eco-friendly and economical, with no added colorant and solvents.